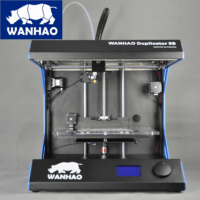 XiliX Technologies have written custom firmware for the D5S series printers, which allows it to consume .gcode files directly as well as improve the performance of the printer. 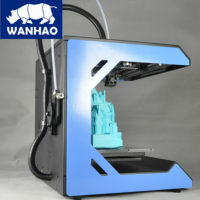 This firmware is released as Open Source and is free to download and even customize. 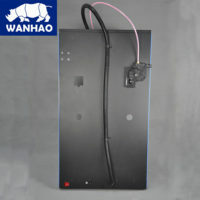 Visit the Github Repository. 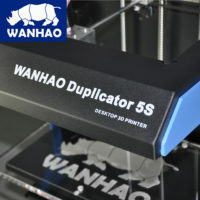 The Duplicator 5 is one of our printers and we’re mighty proud to introduce a machine with such a remarkable build capacity! 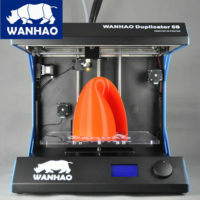 Unique in size and speed, the Duplicator 5 is sure to be the revolutionary printer to challenge overpriced industrial offerings. 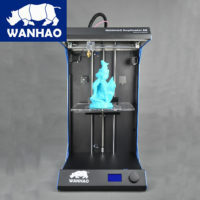 For 2014 Wanhao has stayed true to the niche market of Desktop Hybrids and has created a borderline industrial machine with a desktop’s price tag. 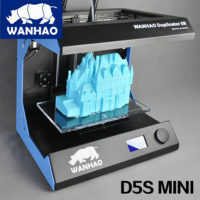 Boasting a build envelope of 305mm x 205mm x 590mm and 305mm x 205mm x 190mm on the D5S Mini, this printer will easily find its place in the workshops of professional model builders, architects, and your average serial prototyper. 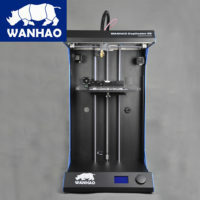 The new Duplicator 5 has received several upgrades on the mechanics front with a larger (16mm) Z-Axis threaded rod allowing for sturdier vertical movement in addition to simplified gantry mounts. Wanhao also takes advantage of a light-weight Bowden extruder setup to produce faster printing speeds…these speeds are complemented by a built-in cooling fan designed to minimize warping and improve extrusion layering. 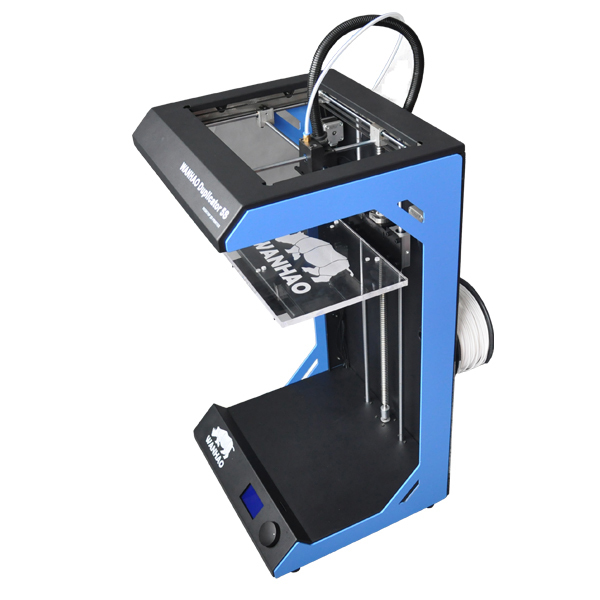 On the electronics side the Duplicator 5 comes with an Arduino© microcontroller with a custom motor shield, a radial dial touch controller/LCD combo, and top-of-the-line stepper motors with the power to produce speeds in excess of 300mm/s. 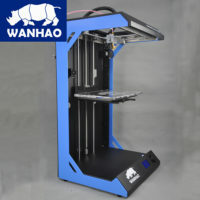 The new Rock XV Steel Exo-Frame provides a heavy and professional look that allows for a taller build height than any other desktop printer under $10,000.00 USD. 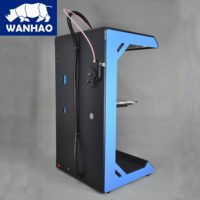 The powder-coated frame is currently only available in Blue. 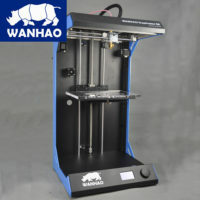 However, the most significant update for the Duplicator line is our introduction of the Wanhao Maker software. It’s reminiscent of some of the simpler yet more expensive third-party software packages on the market. 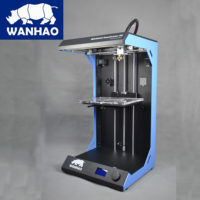 Installation of the software is easy and straightforward and from software download to build commencement takes less than 15 minutes. 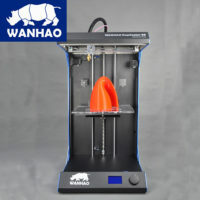 This model is recommended for Prototypers, Architects, and Engineers. 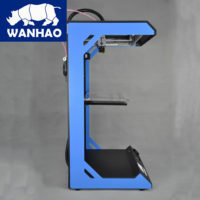 Now with optional enclusure and heated build platform.